The Government has asked spending departments to plan cuts of up to 6%, with a view to annual ‘savings’ of £3.5bn by 2020. 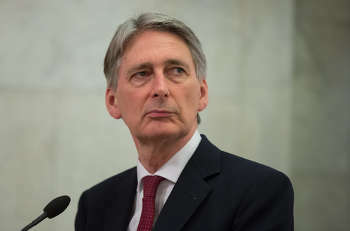 The Treasury said an ‘Efficiency Review’ would put the public finances on a sustainable path and generate up to £1bn to be reinvested in priority areas. The review is intended to generate £3.5bn of savings in 2019/20, and departments have been ‘commissioned to begin drawing up proposals for contributions by modelling scenarios of 3% and 6% savings’. With the NHS and core schools budgets excluded from the review and the Government committed to increasing defence spending, other departments, such as transport and the Department for Communities and Local Government, face the heaviest cuts. Shadow chancellor John McDonnell said the review meant chancellor Philip Hammond ‘represents more of the same Tory austerity’ and should explain ‘why after seven years of failed austerity he thinks more of the same will now work’. The review will be aligned with a refresh of Single Departmental Plans, so departments can consider savings options in the context of their business planning. What is now called the ‘Spring Budget’ takes place next week (8 March) and an update on the review will be provided in the autumn.